Relevance to the Project: Nustadia entered into a long-term agreement to develop, build, program, maintain and operate this four pad arena facility. PBK was the architect on the design-build team for this project. 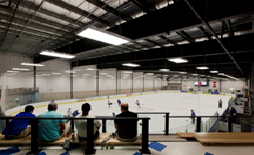 The facility features 4 NHL size ice surfaces, one with seating for 900+ spectators. 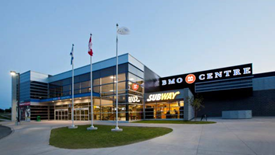 Other amenities include change rooms, commercial space, a kitchen, meeting rooms, offices, and a medical room. The facility is targeting LEED Silver certification.